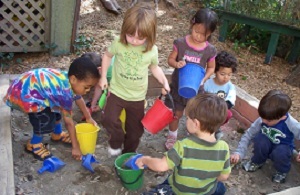 The Central Branch Preschool admits students of any family structure, race, color, gender, gender expression, disability, national and ethnic origin to all the rights, privileges, program and activities generally accorded or made available to students at the school. It does not discriminate on the basis of family structure, race, creed, religion, gender, gender expression, disability or national and ethnic origin in administration of its educational policies, admissions policies, scholarship policies and other school-administered programs. Parents are expected to notify the school of absences each morning. Although children may attend school with minor colds, they should remain at home while contagious or not feeling well enough to participate fully in school activities. The school informs parents of illness or accident promptly, and takes appropriate emergency measures for which parents have signed consent. Only Central Branch staff (teachers and administrators) will have access to children’s records. Records are kept in a secure location in the office. Parents’ written authorization is required before sharing records with third parties. The school does not provide any transportation, but most families are able to arrange convenient neighborhood carpools. If Seattle Public Schools close, so does Central Branch Preschool. If Seattle Public Schools start late, parents are urged to call the school after 7:30 AM. Our answering machine will tell you that day’s schedule (206-723-1187). 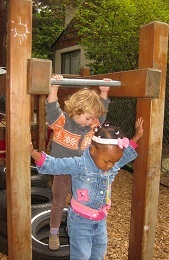 In compliance with Washington State Law and DSHS licensing requirements, Central Branch Preschool and its staff are required to report immediately to the police or Child Protective Services, an instance when there is reason to suspect the occurrence of physical, sexual, or emotional child abuse, child neglect, or exploitation.